So, this had me cussing the heavens for about 3 days. If you’ve found this post, you’ll know exactly what I mean. 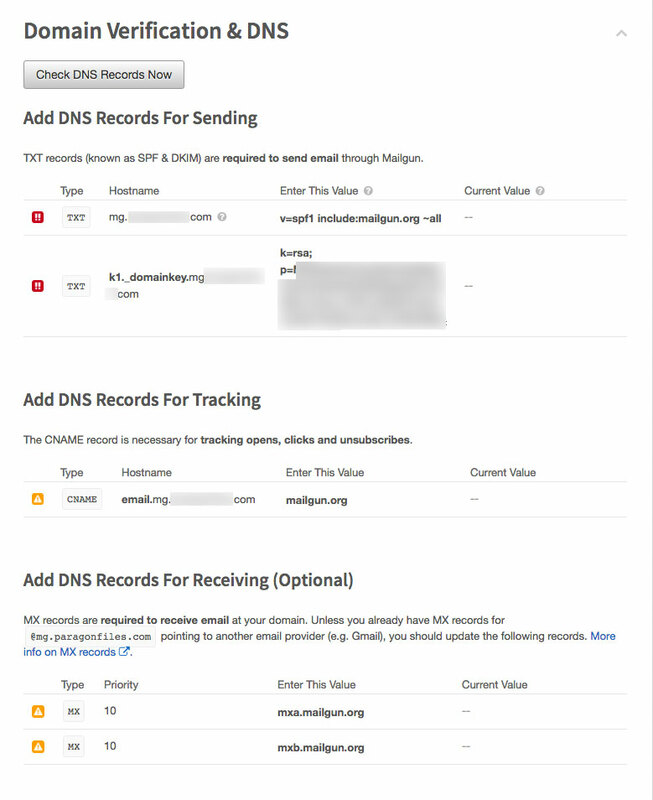 When setting up a MailGun domain, DNS entries are required to verify your domain with the service. The default entries, as provided by MailGun, may work great for other DNS providers however they do not work out-of-the-box with DigitalOcean‘s DNS management. This is how you’ll need to tweak them to get your domain verified. Note: If you’re going with the subdomain route as advised by MailGun, you do not need to setup a new domain in DigitalOcean (Networking > Domains). 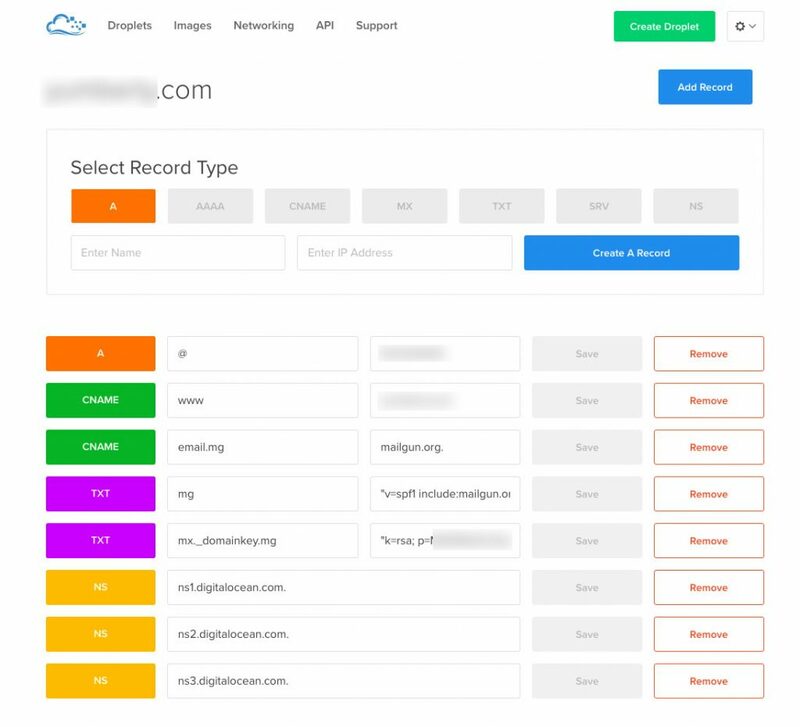 You can use your domain name’s DNS records. The provided TXT records are required to send mail through MailGun. Each record has a name and a text value. For the rest of this article, “domain.com” is just a placeholder for your domain name and I’ll show both top level (“domain.com”) and subdomain (“mg.domain.com”) implementations. // mailgun v=spf1 include:mailgun.org ~all // you'll use "v=spf1 include:mailgun.org ~all"
Note: Your string may not include “_domainkey.” Don’t worry, just use whatever MailGun gives you in its place and remove “domain.com”. // MailGun k=rsa; p=REALLYLONGSTRINGHERE // You'll Enter "k=rsa; p=REALLYLONGSTRINGHERE"
Text records are done. Almost home. // MailGun mailgun.org // You'll Enter mailgun.org. That’s it. Just wait for propagation and you’re done. I can confirm that both of these methods (domain and subdomain) work as outlined above. Let me know if you have any questions. Happy MailGunning!